Yes, it’s been a long winter! Now it’s time to cast off our heavy coats and welcome the best parts of spring—more home sales and more satisfied clients. 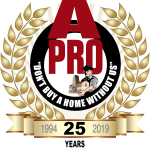 Your friends at A-Pro Home Inspection are here to help! In our latest issue of From the Rafters, we’ve got the news you can use to assist your clients: info about ceiling stains, carpenter ant infestations, and toilet inspections. Plus, there are a few fun spring facts to break the ice at your next open house. Have you ever seen a Phryganistria Chinensis Zhao? Read on to find out. As A-Pro celebrates our 25th anniversary, we wish you all the best this year. Enjoy the newsletter and let us know how we can be of service. Remember…summer isn’t far away! Here’s wishing you many sunny days ahead and spectacular spring sales! One of the most common problems found during a home inspection are stains on the ceiling. For your home-buying and selling clients, the sight of an unattractive ceiling Rorschach blot can only mean one thing: water. And as we all know, water in a home is never a good thing, unless it’s flowing through the plumbing where it belongs. The Bathroom: It doesn’t take the skills of a Sherlock Holmes to determine that when the room above a ceiling stain is a bathroom, there’s a good chance that’s where the moisture problem is coming from—but not always. These ceiling stains could mean everything from significant concerns (a leaky tub overflow pipe) to causes that indicate no impending need for action (a toilet that overflowed months ago or shower-takers not making full use of the shower curtain). The home inspector—through use of moisture meters, assessment of the stain’s color and size, and further investigation of the upstairs bathroom—will be able to determine if the stain is merely cosmetic or requires plumbing or other work, such as repairing failed caulking. Dry stains may indicate a problem that has already been fixed but requires continual monitoring to see if the problem recurs. Either way, ceiling stains will be noted in the home inspection report. The Roof and Attic: Ceiling stains in upper bedrooms and other spaces are most commonly the result of a leaky roof. A roof assessment may show signs of aging shingles, squirrel penetration or damage from a fallen tree that is allowing water into the house. Water stains after snow may signal problems with ice dams caused by lack of insulation, poor attic venting, or a badly maintained gutter system. Stains above fireplaces likely derive from separated chimney flashing that is no longer diverting water from around the structure. In some cases, the stain may have come from a one-time event, such as rain blown through a gable end or box roof vent during an excessively windy storm. In the attic or floor framing, a leaky water supply line will lead to significant, active staining, while smaller leaks in pipes will create less obvious but still troubling marks on a ceiling. Attic condensation, caused by ducts leaking cold conditioned air, can also result in staining. Compromised or insufficient attic insulation, especially during the most humid months, may lead to excessive moisture that affects the ceiling. Other Sources: Other possible causes of ceiling stains include roof vents, poorly insulated exhaust pipes, and vent pipe leakage. For example, insufficient sealing between the roof cap and exhaust pipe can cause rampant condensation at the joint—a situation that can eventually lead to ceiling stains. Inspecting ceilings are just one part of an A-Pro 500-point home inspection. 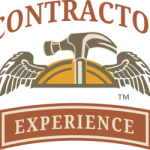 To hire a certified local A-Pro home inspector, call 1-615-547-3900. Need a Good Carpenter? Don’t Call These Guys. While termites get the lion’s share of the attention when discussing wood-destroying insects in a home, carpenter ants deserve more than a passing mention. These six-legged menaces can, in some cases, cause damage to a home’s wood structures, such as main beams and wall studs. Be on the lookout! Carpenter ants are active from spring to early fall in some areas of the country. Full disclosure when selling a home, in addition to the opportunity to take action against an infestation before placing the home on the market. Carpenter ants are most likely to target moist and rotting wood, whether in a hollow tree (a familiar nesting site) or, worse, in a home. Typical home nesting locations include windows, poorly sealed door frames, tubs and sinks, decks, roof eaves, and porches. See a common theme? They’re all prone to moisture. Once softened by water, a home’s wood structures can permit carpenter ants to hollow them out and produce a colony. Carpenter ants do not eat wood like their cellulose-chomping cousins, the termite. Problems in a home can occur when carpenter ants use a home’s wood to nest. In most cases, this is not a rapid process, and significant damage may take years to materialize. Evidence of carpenter ants can be found in the form of conical piles of sawdust-like material (known as frass) left outside of nest entrance holes. Many cases of infestations are the result of the ants searching for food within the home. Other signs include the presence of a long trail of ants; crinkling, rustling sounds produced in the nest; a few stray ants (likely checking out the area for food); wall or foundation cracks that make entry easier; and nests outside the home in mulch or vegetation near the foundation. While examining a property, the A-Pro home inspector will discuss steps that can be taken to prevent a carpenter ant infestation. These include removal of trees and bushes touching the house, keeping food stored in containers, replacing rotting wood, storing firewood away from the home, sealing foundation cracks, and eliminating all wood-to-ground contact. Is the toilet firmly connected to the floor? Poor connections can mean leaks, which can lead to costly water damage. Loose toilets are one of the most common problems found by home inspectors. Is the bowl properly attached to the tank? This is another area where leakage can be a major concern. Does the toilet’s Gallons Per Flush exceed federal law? No more than 1.6 gallons for toilets produced after 1994. Are there cracks in the bowl or tank? After flushing, the home inspector will note if the toilet stops running or continues. For some homeowners, a continuously running toilet can equal unnecessarily high utility bills. If supplied by a well, a toilet that won’t stop running can damage the pump, leading to an expensive repair or replacement. The inspector will also report on toilets that fill too slowly or take too long to flush. A moisture meter can be employed to check the surrounding floor for leaks. If the toilet is functioning as it should, no water from the tank should pass into the bowl without flushing. If the color from a dye tablet dropped into the tank ends up in the bowl, there is a leak (often the result of a failed flapper seal). Contact your local A-Pro Lebanon Home Inspection team now at 1-615-547-3900 . Is an inspection of the lot’s grading included in a complete inspection? Yes. This is a critical visual assessment performed by certified home inspectors. An improperly graded lot will direct water toward the home’s foundation, resulting in basement flooding, foundation deterioration, settlement issues, and damage to siding and wood structures. The home inspector will assess the home’s grading (from negative to positive) and note this in the report, along with any foundation damage that may be present. While carpenter ants can turn into big pests (see article), they are by no means the biggest bug populating the planet. That distinction belongs to a stick insect discovered in China in 2016, the Phryganistria Chinensis Zhao. Measuring 24.6 inches (14.1 inches without legs fully extended), the massive insect is named after Zhao Li of the Insect Museum of West China, who successfully completed a two-year quest to prove that locals who had seen the insect were not, in fact, seeing things. Okay, maybe it’s not a fun fact, but it’s a good thing to remember as we enter the spring flower season. While their colors may dazzle and their scents intoxicate, there are numerous spring flowers that can make you sick—or worse—if eaten. These include foxglove (leaves, flowers, and seeds); Larkspur (entire plant); morning glory (seeds); calla lily (entire plant); and many others. Of course, spring also means the beginning of baseball season. And that means lots of gum-chewing athletes playing the grand-old game across America. With that in mind, let’s give a shout out to the Guinness Book of World Records holder for the largest bubblegum bubble ever blown—Chad Fell. Chewing just three pieces of Dubble Bubble gum and without using his hands, he blew a 20-inch bubble on April 24, 2004. A Final Thought: When your clients need home inspections this spring– or any season – give your local team at A-Pro a call. We’ve performed thousands of inspections from coast to coast since 1994. 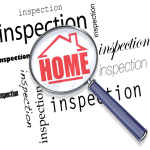 Reach us at 1-615-547-3900 for all your home inspection needs.